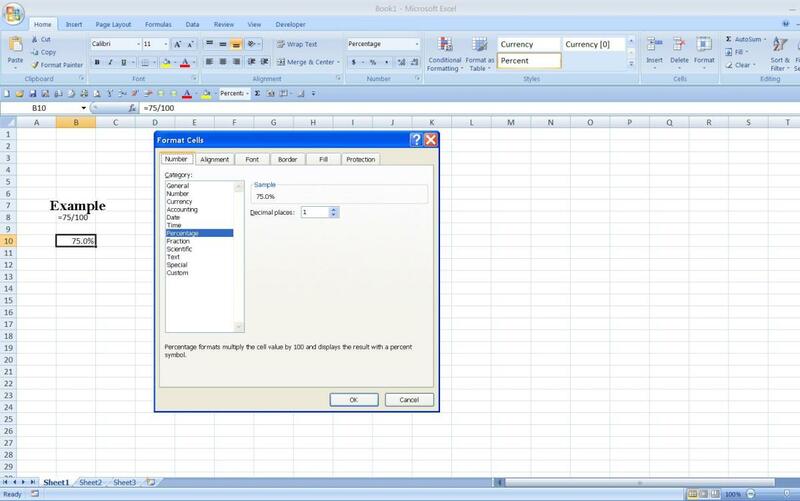 Excel is an important tool for business analysts. 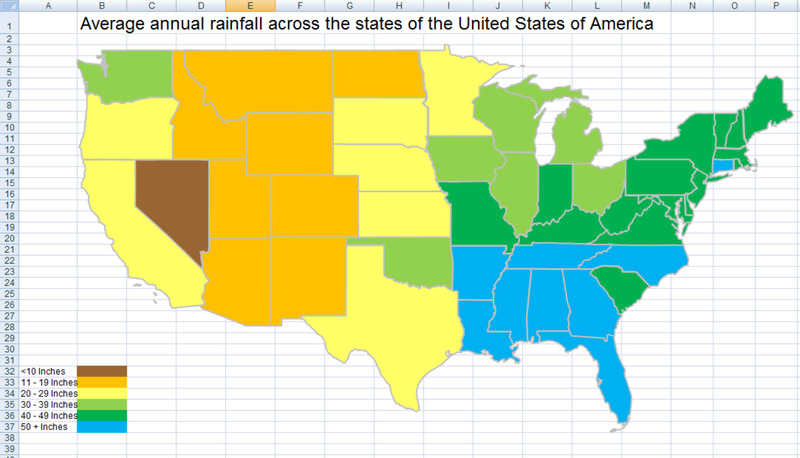 It's useful for compiling and analyzing data, presenting data, and even manipulating it. Rarely does a day go by that I do not use Excel (and I get a little depressed on those rare days). Excel is our friend. However, like any great tool, it is robust and a bit of a labyrinth. You could spend your days as a business analyst using Excel like a Word doc, still using calculators to compute things and basically only scratching the surface of what Excel can do. Or, you can learn to work your way through the maze of functions and formulas and truly excel in your career by mastering Excel. We won't master Excel here. But we will go a little deeper and have fun while doing it! This hub specifically covers text-to-columns. Each of the 5 tricks is covered in a different hubpage. Splitting text into two columns. 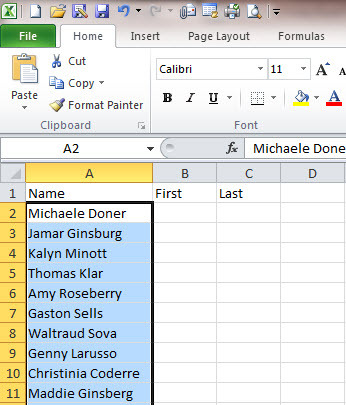 Separating names that are currently in last name, first name format. Separating address, city, state, zip into four distinct columns for sorting. Creating a single Address 1 line, creating a single Name field from two separate fields, etc. This trick is so simple that you probably missed it. And most people do it the long, hard way incorrectly. So, text-to-columns is so easy that it should go without saying, but it doesn't. I had been using Excel for YEARS before I started taking advance of this little sucker. And don't fool yourself into thinking you won't use this. What will happen after you learn it is that you will find yourself finding ways to work it into what you do. 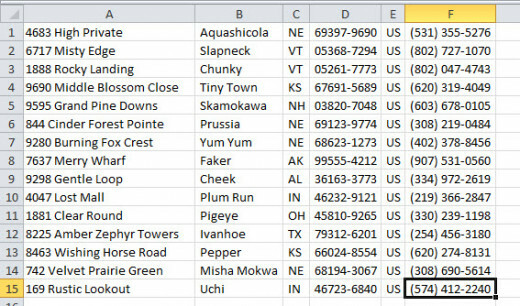 Select the cells containing text you would like to split. 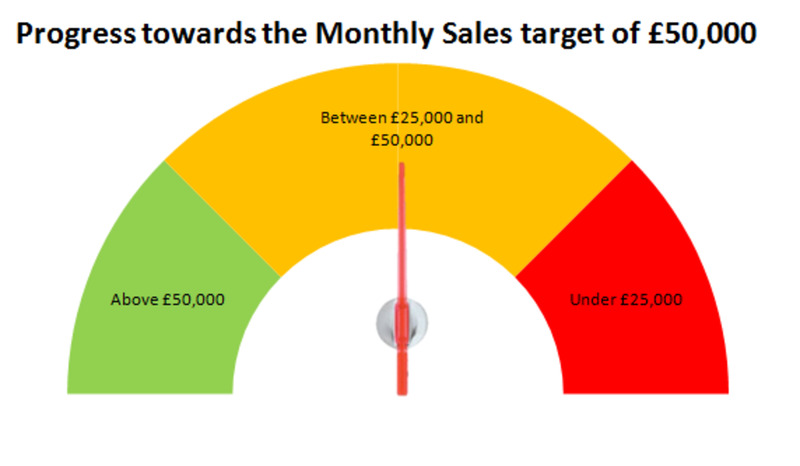 Ideally you should select all of the cells you want to split, otherwise, you will need to repeat this over and over. 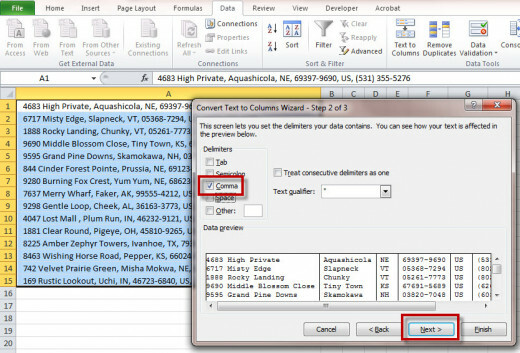 Click the Data tab and then click the Text-to-Columns menu item. 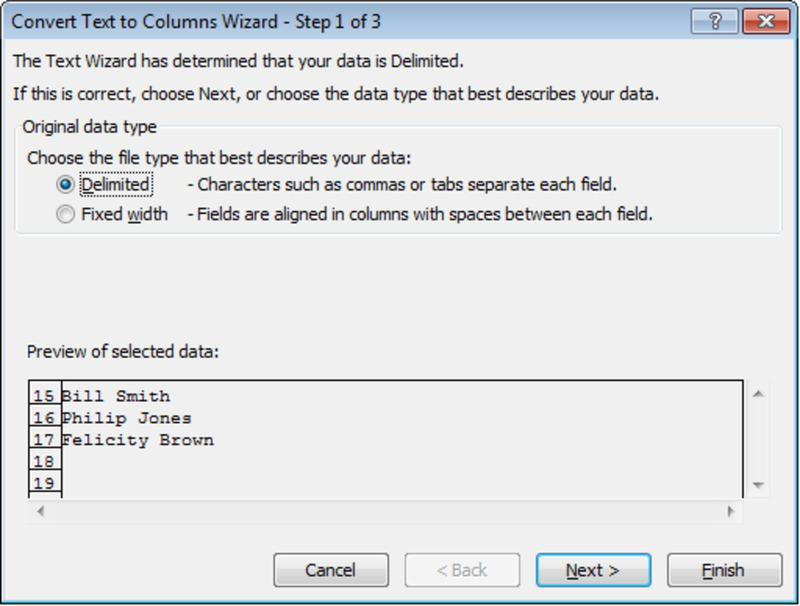 Depending on how your data is structured, select either Delimited or Fixed Width. Delimited means that the two (or more) pieces of data are separated by a delimiter such as a comma or space. Select Fixed Width if, instead of separating the data at a delimiter, the data is separated by a space and the space appears in a specific place (such as at the 5th character). Click Next. If you chose Delimited, select the Delimiter(s). If you chose Fixed Width, specify where the data should be split. Click Next. 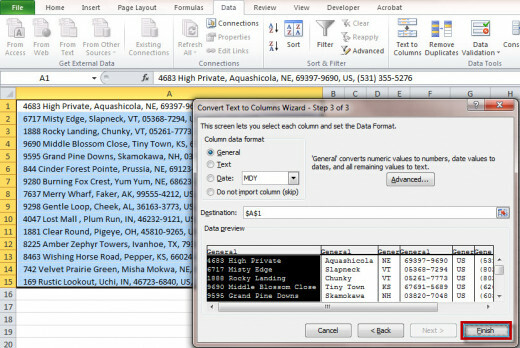 On this next screen, you can give Excel more direction as to the type of data in the fields (General, Text, etc.) as well as where to put the new split text (a NEW feature in 2010). Click Finish. Text-to-columns delimited vs fixed width. Do you know which one to use? There are many times when splitting text is necessary. It goes beyond names and addresses to numbers of all types. 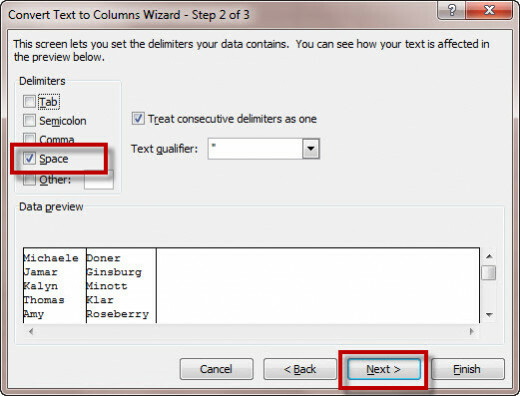 Here is another example of when and how to use text-to-columns. 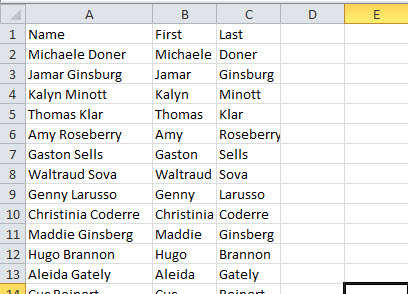 When copying/pasting a plain text list of numbers that spans multiple rows and columns into Excel, depending on how the list is pasted, you could end up with multiple columns of numbers in a single field (as in the image below). You may wish to separate these into multiple fields. Below are the steps with images to go along with them. Select the text you want to separate, as described above in the general how-to. Select Fixed Width. Click Next. 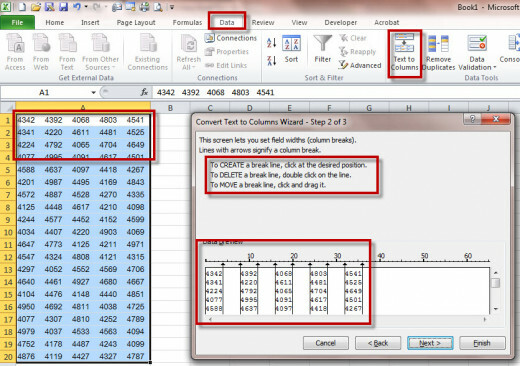 Follow the instructions to separate the columns uniformly, by adding or dragging lines to create column breaks (see images below). Click Next. 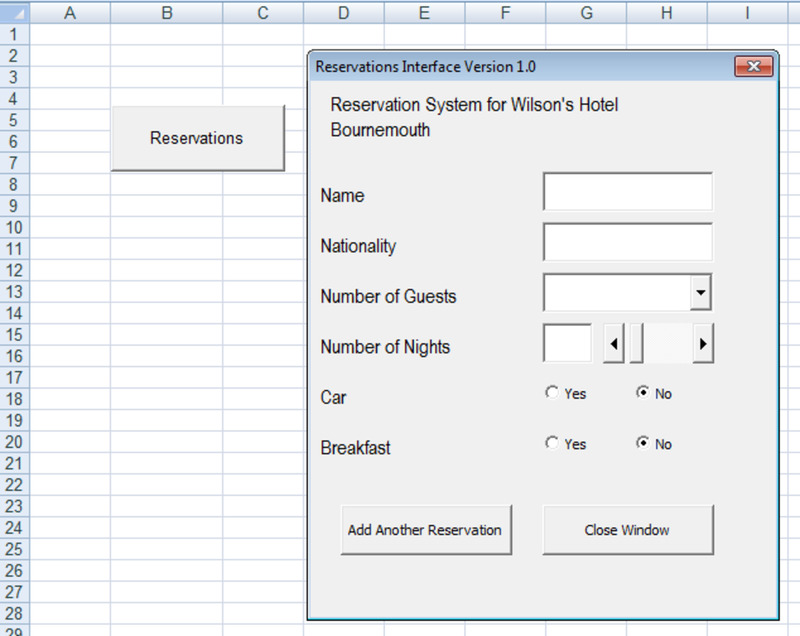 Select any additional options and preview the result. 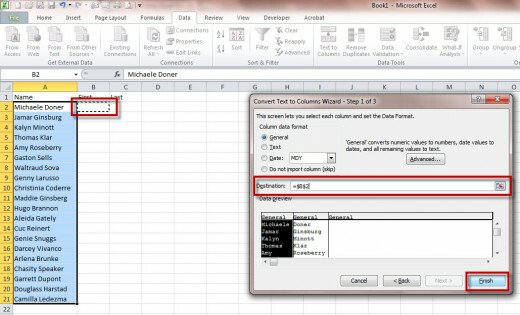 This trick is very useful for preparing data to import into a database. 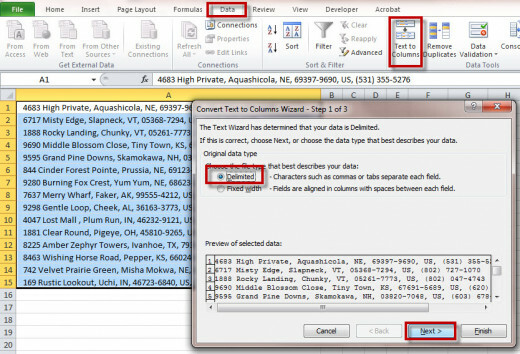 When complete (full) addresses are in a single field in Excel, you won't be able to load them into a database that contains separate fields for address, city, state, zip, etc. unless the data is separated beforehand. 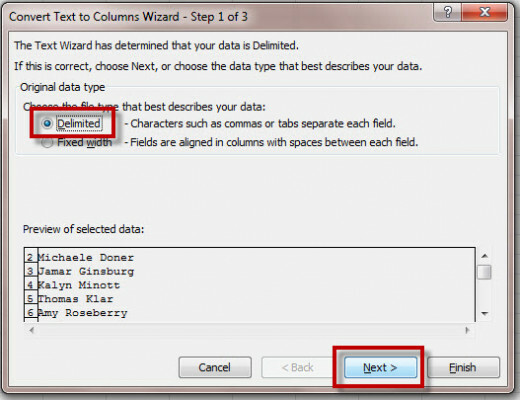 See images below for a step by step on how to separate address data in fields for uploading into a database.